Design by Christian Ploderer, 1998. Dimensions 14.2"D X 13"H, 78.75" maximum overall height. 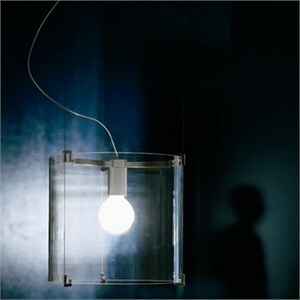 Uses 1 X 150W 120V E26 (medium base) A21 incandscent lamp (not included).